Need extra storage? No matter your situation – a homeowner without a garage or attic, a renter lacking closet space, a student between housing or a business owner with inefficient storage – you’ll find that self-storage offers safe, affordable solutions. If your home or office doesn’t offer you enough space to store your belongings or inventory, you need to look outside your residence or business. Our storage facilities can provide temporary or long-term storage solutions for homeowners, renters, students and businesses. 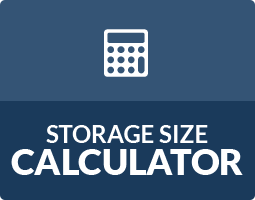 Storage for Homeowners: Self-storage is a great way to get extra space for a low cost. Rotate seasonal items – jet skis, bikes, skis, holiday decorations, lawn mowers, snow blowers and more – to make room in your home all year long. A storage unit is also a great solution for renters that may not have the desired storage space. Students: During summer break or after graduation, you may find yourself with a need for temporary storage. Using self-storage allows you to put your furniture and other belongings away until you move into your next apartment or dorm, rather than hauling everything home again. Business Owners: From inventory and files to office furniture and equipment, business owners can find a lot of value in self-storage. Self-storage units are easy to access and can de-clutter your office and help you get organized. Plus, if you are expanding the office or moving, you’ll find self-storage can be very helpful. Contractor Storage: Contractors require a large number of tools in order to get the job done right. But, where do contractors store their tools when they are not in use? 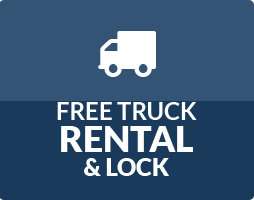 Many contractors have started to take advantage of the convenience of a storage unit rental. A storage unit rental allows contractors to store their tools in a safe and central place close to their job-site. 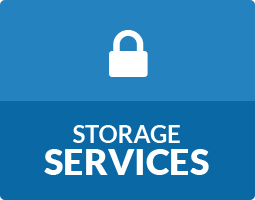 Our late-night storage access hours allow contractors to visit their storage unit in the early morning or late at night. Pharmaceutical Storage: Pharmaceutical sales representatives have a large inventory of equipment and medical supplies. A storage unit rental allows pharmaceutical sales representatives to store all their inventory, samples, equipment and supplies in a safe and secure location. Our storage facilities can even accept shipments and deliveries, which saves you the worry of items being delivered while you’re out of town. Retail Inventory Storage: A self storage unit rental gives retail stores the flexibility to store their inventory, decorations and sales material off-site and in a secure location. This will help to keep your retail store decluttered, more organized and allow your inventory and business to grow. Our early morning and late night hours allows retail store owners to access their storage unit before the store opens and after the store closes.